I love my Star Wars bobbleheads!! It shipped fast and looked just like us. 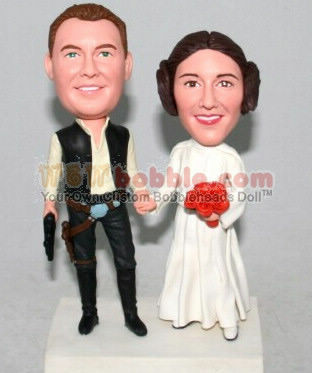 This is a high quality clay figurine and not a cheap plastic bobble head. We have ours displayed in our living room. Other couples who saw it at the wedding now want them too. Thank you very much!!! ..